This was created in the year I was with Robinsons Singapore, teaching at their Baking Studio. It was basically to promote the use of the mini cupcake tray. 1. Cook instant noodles in boiling water till soft. Rinse in cold tap water, drained. 2. In a frying pan, add onion oil, tom yam paste to stir fry. 3. Add prawns, sugar, and shredded leaves and gently toss till the prawns are cooked. 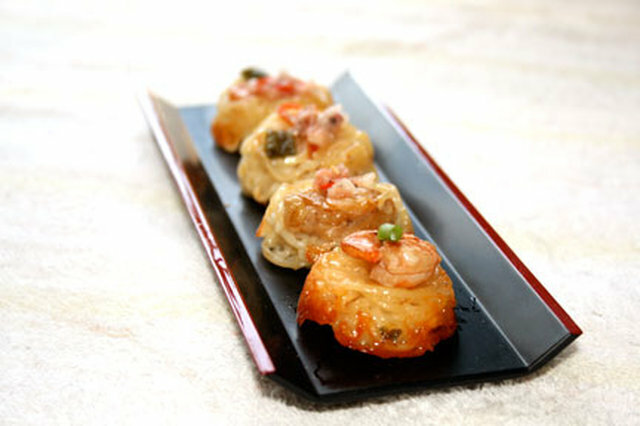 Pick up the prawns and set aside. 4. Turn off the heat, add noodles in to toss till evenly mixed. 5. 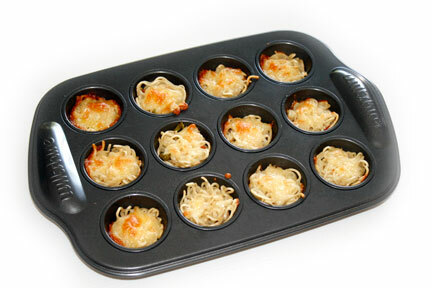 Spray mini cupcake pan with oil, using a pair of kitchen tongs, pick up noodles and put inside each mini cup. 6. Baked in preheated oven set at 200C for 5 to 7 mins. 7. 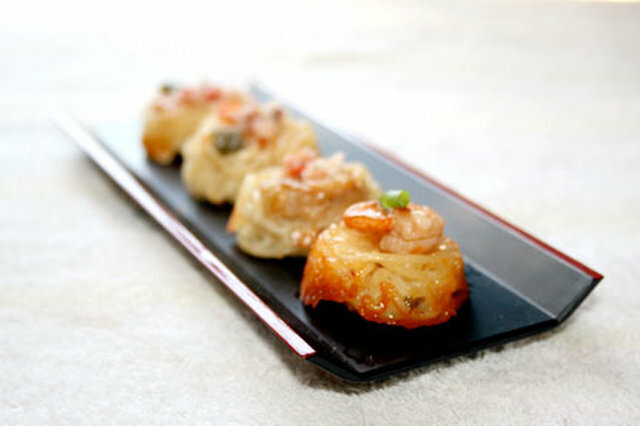 Remove from oven, using a long skewer stick(satay stick), fish out the noodles and serve on a plate. 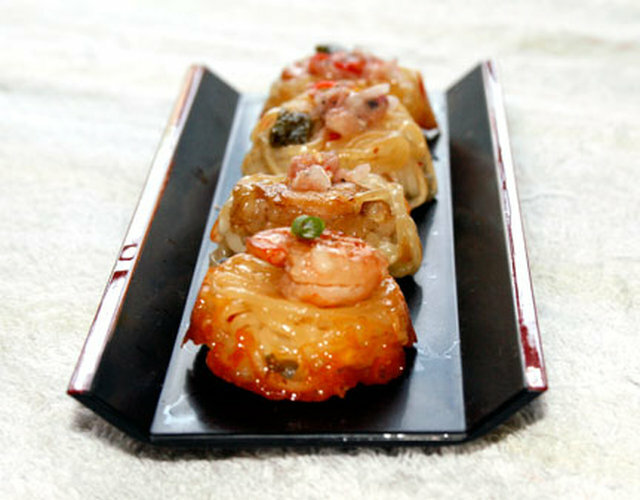 Top it with a cooked prawn.